Smart Computers approached Avent Interiors to carry out an Office Refurbishment in Cheltenham. The Refurbishment works were to take place within an empty unit and needed to be complete within 4 weeks. Smart Computers needed this new Office space complete on schedule, ready for their staff to move into their new Offices. Improved fire rating to Mezzanine floor. A new area for staff kitchen. Fire rated the existing Mezzanine floor. Formed a kitchen through Partitioning and installed kitchen. Drylined all external walls onto metal linings with tape and joint finish. Fitted 150 sqm of fire rated suspended ceiling with insulation. Formed a meeting room from Partitioning, this included full height glazing modules and integral blinds, with a solid core beech veneer door. Avent completed the project well within the 4-week deadline, ready for Smart Computers to move into their new premises. Avent first fire rated the existing mezzanine floor. We accomplished this by installing 1-hour fire rated suspended ceiling, column encasements to the floor pillars and 1-hour fire rated partition stair enclosures to both. Avent used the lightweight 50mm demountable partition to form a kitchen. We then fitted kitchen worktops and units as required. All external walls were dry lined with plasterboard onto metal linings with tape and joint finish. Next, Avent installed a fire rated suspended ceiling throughout the 150 sqm area. 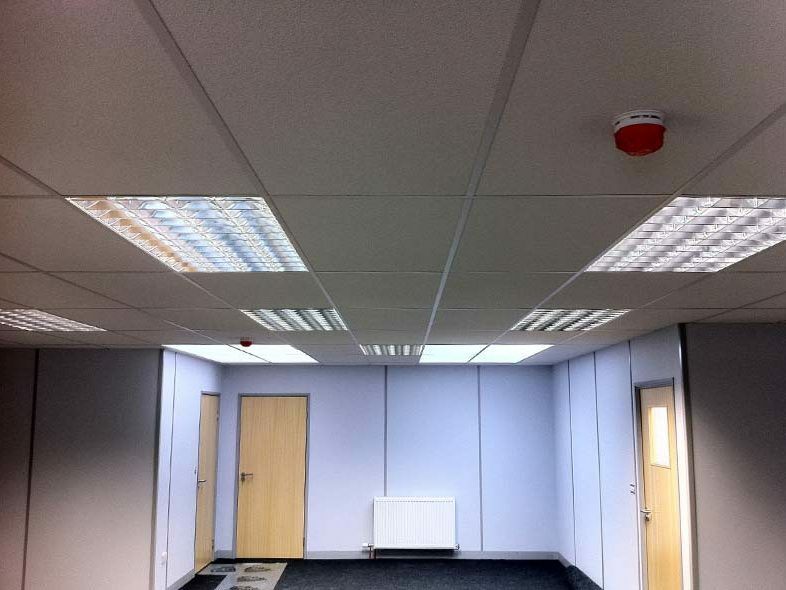 This comprised of a 600mm x 600mm half hour fire rated grid ceiling with Armstrong ceiling tiles. We also installed 200mm insulation overlay within the ceiling. 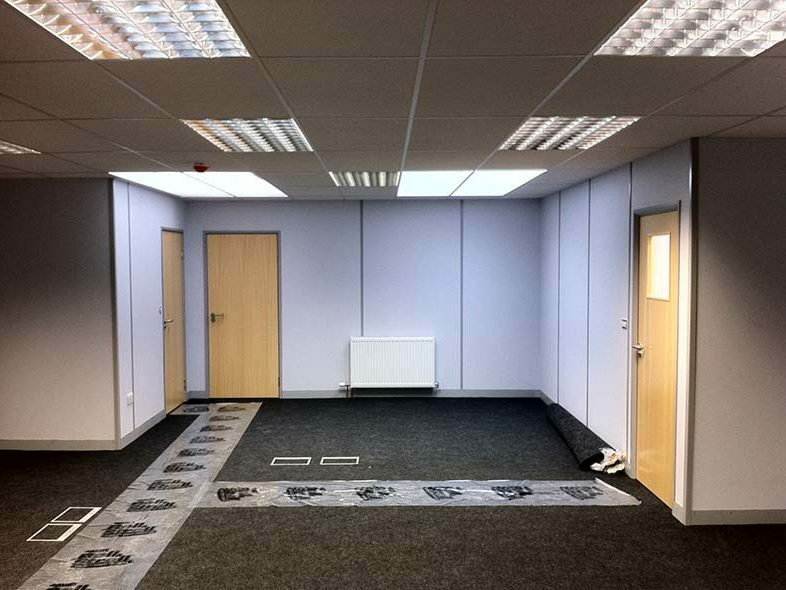 We then formed the meeting room with a 7 linear meter Partition using the Avent 75 system. 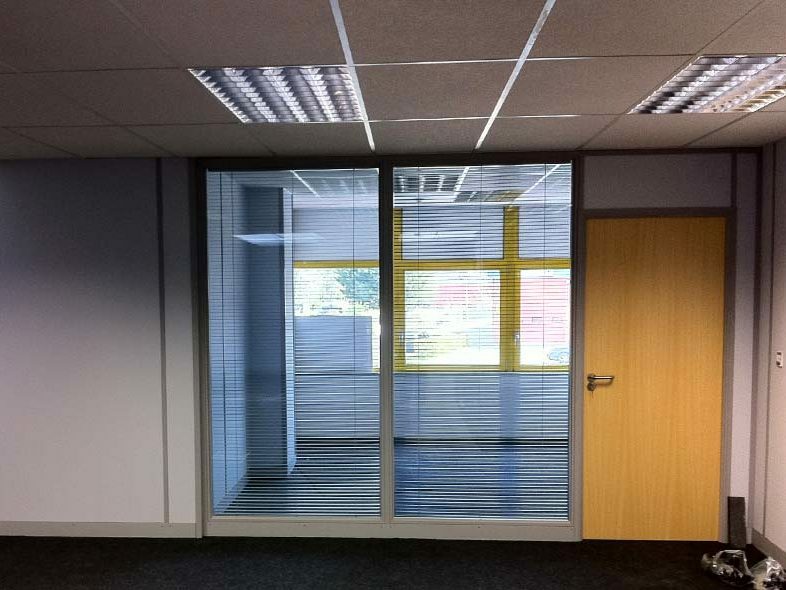 The partition comprised of full height glazing modules and integral blinds. The door module was solid core beech veneer with a laminated glass vision panel. Overall, the Office Refurbishment in Cheltenham had been a success and Smart Computers were able to move into their new premises on schedule. 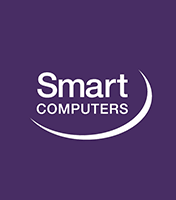 Smart Computers are an IT solutions business based in Cheltenham. Smart cover everything from IT installation and support to Data Backup and cloud solutions. They have accreditation with Microsoft, HP and Acer.